A bus is a road vehicle which can be used for commercial or personal purpose both. The automobile (automotive companies) sector has expanded over the years into a developed and well established industry. Innovation and manufacturing of vehicles has helped the industry to grow into a profitable one. There is rising demand of the buses from the growing population especially from the urban areas which is globally driving the bus market. Goldstein Research analyst forecast the bus market size is set to reach USD 60.62 billion by 2024, at a CAGR of 7.90% over the forecast years. Some buses have 8 corridors covering 120km with daily passenger demand of 1 million. The report covers the present ground scenario and the future growth prospects of the bus market for 2016-2024 along with the increase of the stock of buses worldwide from 11 million units in 2014 to 11.6 million in 2016. We calculated the market size and revenue share on the basis of revenue generated from major players across the globe. On the basis of body type, fully built buses are having the highest market share of 56.2% owing to high demand in transit buses, motor couches and school buses. With rise in government investment in public transportation networks, especially in bus rapid transit systems, so as to reduce traffic congestion and improve the air quality. Whereas, on the other hand the market share of customizable is growing steadily at a market share of 22.90% to increase in personal income, the passengers are expecting greater comfort, safety and other onboard services such as television screens, outlets etc. giving them diverse advantage over other bus types. Global bus market outlook 2016-2024, has been prepared based on an in-depth market analysis from industry experts. The report covers the competitive landscape and current position of major players in the global bus market. The report also includes porter’s five force model, SWOT analysis, company profiling, business strategies of market players and their business models. Global bus market report also recognizes value chain analysis to understand the cost differentiation to provide competitive advantage to the existing and new entry players. 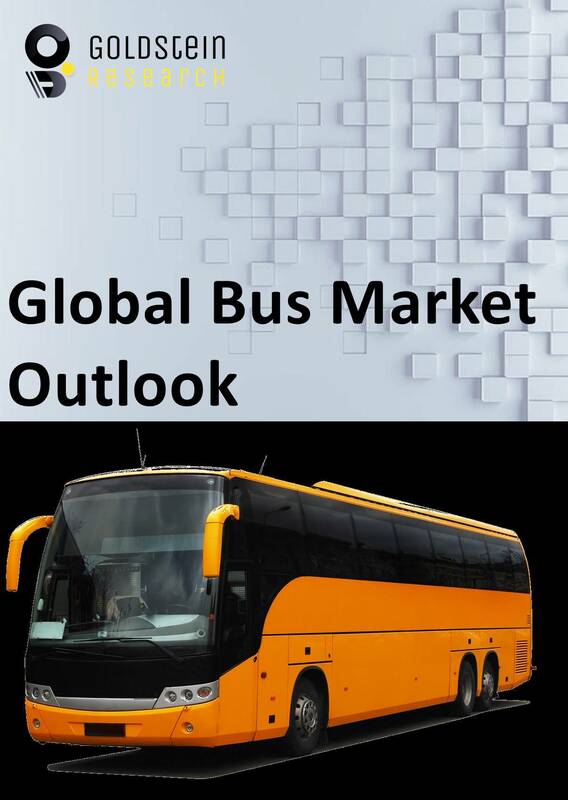 Our global bus market report comprises of the following companies as the key players: Anhui Ankai Automobile Company, Ashok Leyland Limited, Daimler AG, GAZ OAO, Gillig Corporation, Hino Motors, Hyundai Motor Company, Isuzu Motors, Irisbus Iveco, MAN Truck & Bus, Marcopolo S.A, Scania AB, Solaris Bus & Coach S.A, Tata Motors Limited and Volvo Bus Corporation. Other high-flying vendors in the market are: Xiamen Golden Dragon Bus Co., Xiamen King Long United Automotive Industry, Zhengzhou Yutong Bus Co., Ltd., Volkswagen AG and Toyota Motor Corporation. According to the report, major driving factor for global bus market is the huge expansion of the urban population and the growth in the number and size of the private transportation companies. Government is investing a huge amount in the public sector to reduce the number of the private vehicles so there is less pollution and the air quality can be improves. Further, the report states the major challenge is the inferior infrastructure of the buses in terms of outdated sub-systems, reactive rather than proactive response and variety of other threats. Lack of stand-alone security systems like video surveillance and access control, in addition, absence of cohesive command and control platform that enables transportation officials to respond to the incident pro-actively tends to hamper the global bus market. Based on geography, Asia Pacific dominated the global bus market with the market share of 51.2% in 2016 owing to increasing demand from growing population and worsening traffic congestion situation. In addition, with the increasing number of Chinese players are positively impacting the global bus market. North America is growing steadily with the market share of 32.1% with the increase enhancements to provide fast, high-capacity service with a more rail-like atmosphere and amenities and to make eco-friendly surroundings. What is the revenue of Bus in 2015-16 and what would be the expected demand over the forecast period?